Any time there’s a debate about the best American cities to visit for nightlife, Chicago is at the forefront of the discussion. As the third most-populated city in the United States, it’s the eclectic cultural hub of the Midwest that attracts visitors from around the world. 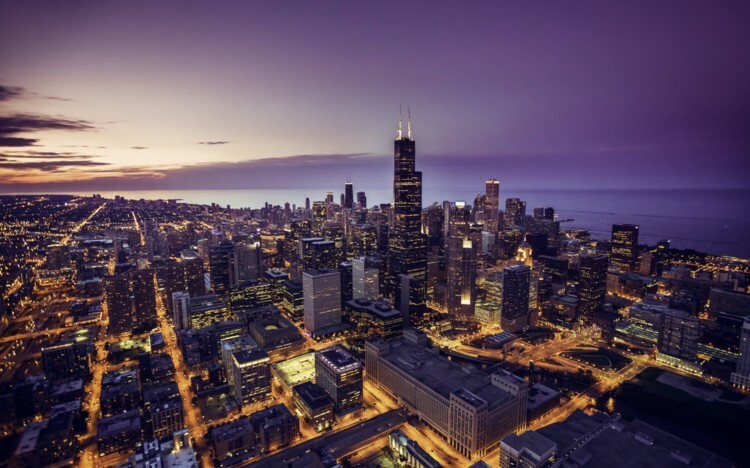 If you have a group of family, friends, or co-workers that are headed to the Windy City but aren’t quite sure what to do when the sun goes down, we’ve got you covered. If you’re also having a difficult time figuring out how you’re going to efficiently transport every member of your group, we’ve got you covered there as well. GOGO Charters provides charter bus and minibus booking services for groups of every size, no matter how many people you’ve got. 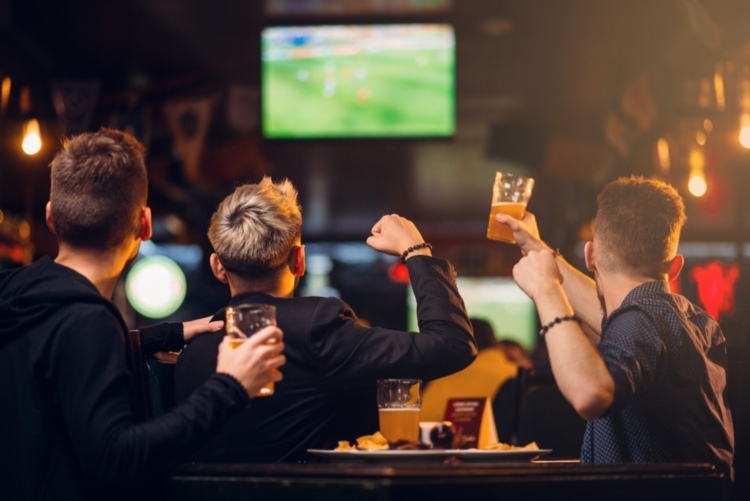 Charter buses minimize risk and maximize the fun on a wild night out because you don’t have to worry about any of your friends attempting to drive intoxicated–your private driver will handle that for you. Buses may also be equipped with a number of premium amenities, such as WiFi, televisions, power outlets, restrooms, reclining seats, luggage bays, and more, ensuring your group rides in maximum comfort. 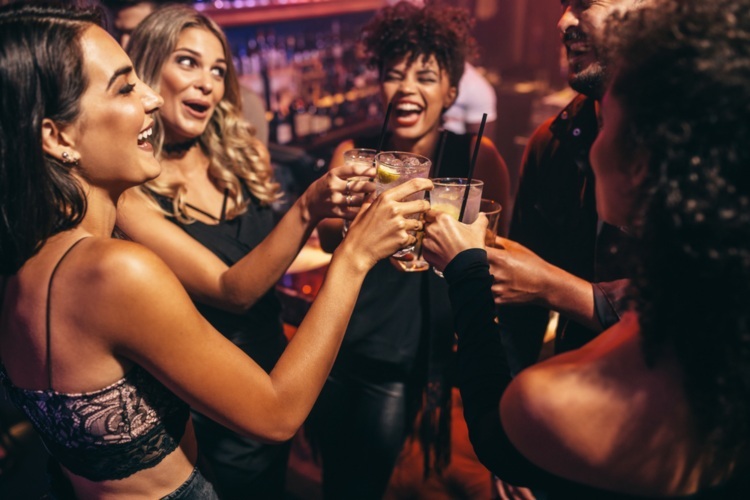 If you’re ready to plan your trip to Chicago, check out some of the best night spots below, and call us at 773-253-5830. If you’re in town for a conference or other work-related activity, you’ll definitely want to check out a few of Chicago’s most famous Happy Hour spots. Chicago actually has a very intriguing history in relation to happy hour, as it was banned in the state of Illinois in 1989. The ban was recently lifted in 2015, and the city is now beginning to offer a number of great specials for its patrons. We know you’ll be ready for a drink with your team after a long day of panels and meetings. The great thing about a number of Chicago’s most popular locations is that they provide great food deals to go along with the cocktails. Francesca’s on Chestnut specializes in Italian cuisine, offering huge $5 food plates from 3:00 – 6:30 p.m., while Mariano’s Fresh Market is a grocery store that also contains an oyster, sushi, juice, and traditional bar, all of which offer individual specials. The Kinzie Hotel and the Rock Bottom Restaurant & Brewery draw large crowds due to their large spaces and great drink prices. Before you hit the streets for an evening of partying, you’ll definitely want to eat a large, nourishing meal that will carry you through the later hours. Chicago is renowned for its diverse, world-class dining scene, featuring cuisine from a variety of cultures and origins. Regardless of what you’re in the mood for, there’s always going to be someplace in Chicagoland that provides it. The city is well-known for its deep-dish pizzas and unique take on hotdogs, but there’s actually so much more to experience. This barbecue establishment cooks all of its cuts with two smokers. It specializes in St. Louis-style barbecue ribs, pulled pork, and brisket. Lula Cafe is one of the original farm-to-table burger establishments in Chicago. Everything on the menu is locally-sourced, and they even offer brunch specials. Pequod’s Pizza serves the famous Chicago-style deep-dish, thick-crust pizza, although its take on it is a bit different. They cook their pizzas pan style, and it comes with the ultimate crunch. Gibson’s Steakhouse is at the top of the pack in a city full of premier steak establishments. A number of celebrities come by for dinner, and the cuts are truly comparable to none other. So you’ve had your first drinks, enjoyed a filling dinner, and now you’re ready to dance the night away. Luckily for you, Chicago is home to some of the most lively nightclubs in the Midwest. The great thing about a city as large as Chicago is that it contains an array of vibes for people with an eclectic taste in nightlife. If you want to step out for the night but aren’t really into lounges or clubs, Chicago has a number of unique bars that will surely entertain your group. For groups that have decided to spend their evening in Logan Square, Slippery Slope, Emporium Arcade Bar, and The Owl will definitely provide an experience unlike any you’ve had before. Slippery Slope is filled with red lights, and contains a traditional bar as well as a dance floor and Skee-ball. Emporium Arcade Bar is an enormous establishment featuring video games from a number of gaming eras, as well as a large craft beer selection and whiskey specials. The Owl is a smaller establishment with a jukebox, indoor waterfall, and large beer selection. The Flat Iron, located in the Wicker Park neighborhood, features works from local artists and attracts a more hipster crowd. Although Chicago has its fair share of fun and entertaining bars, it’s also known for its large, lively nightclubs. Like its bars, Chicago’s clubs also vary in style and energy based on neighborhood. East Room is located in Logan Square, and features a more rugged, eclectic setup. Stereo Nightclub in Belmont is a bit more trendy, with marble topped bars and an elevated DJ booth. Debonair is a bit more easygoing, featuring different genres of music on each of its floors, while Society 2201 is a vibrant, bustling space with bottle service and dancing. 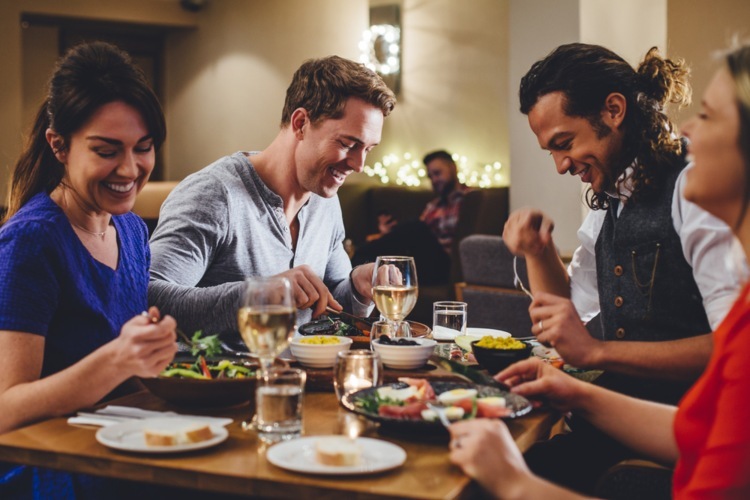 Whether you’re an out-of-towner visiting with friends or a local heading out with family, you deserve to have the time of your life when you step out for the night. GOGO Charters simplifies the process of getting your group to and from any venue in the city, and we take pride in doing it. Don’t leave the success of your night in the hands of an unreliable Uber driver or public transportation; contact GOGO Charters at 773-253-5830 for more information about how we can help you plan the perfect night, as well as transportation for events such as weddings, corporate gatherings, sports competitions, school functions, and church outings.